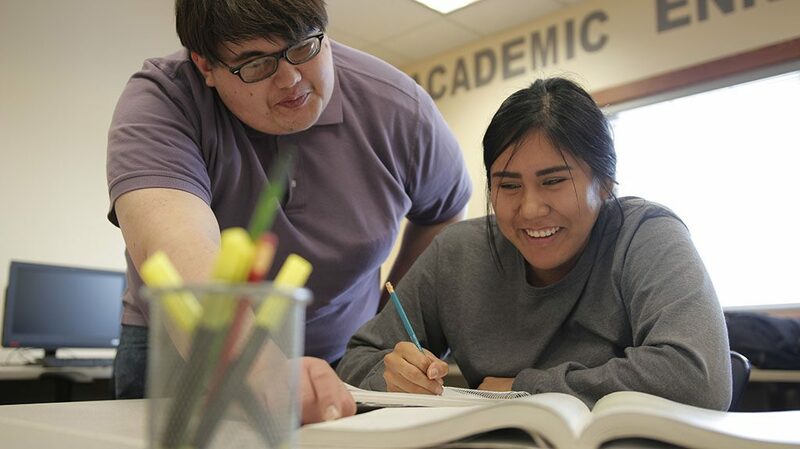 Academic Enrichment Services also known as Student Support Services, is a TRIO programfunded by the United States Department of Education to improve student retention and student success. The primary objective of Academic Enrichment Services is to serve students who are Low Income, First Generation, and individuals with Disabilities. Our Learning Center provides free tutoring to individuals and groups in Math, English, Reading, Natural & Social Sciences and Study Skills. Professional and Peer tutors are available Monday-Friday. The Learning Center also provides computers that can be used for research, homework, applying for scholarships, filling out FAFSA applications, and checking e-mail. We believe your success as a student is dependent on your overall well-being. We are committed to supporting your academic, physical, financial and social needs. During the academic year, we will focus our efforts on tutoring, counseling, and aiding students planning to transfer to a 4-year institution. To provide services to low income, first generation, and individuals with disabilities. To provide assessment, diagnostic and competency testing in reading, writing, mathematics, and study skills. To provide counseling and advising services to students in the academic, career, vocational and personal areas. To provide tutoring to individuals and groups in mathematics, writing, reading science and other course areas as needed. First Generation – a person whose parents never received a bachelors degree. Low Income – an individual whose family’s taxable income did not exceed 150 percent of the poverty level. Individuals with a disability – an individual who because of a disability needs specifically designed instructional material or programs, modified physical facilities or related services in order to participate fully in the experience and opportunities offered by post secondary educational institutions.